CBS News asked noted figures in the arts, business and politics about their experience in today's civil rights movement, or about figures who inspired them in their activism. Please share how a civil rights figure influenced you personally. I am hugely grateful to have had the immense honor of interviewing Dr. Maya Angelou many times over the years. We always talked about a range of topics and issues, but the overall message that always resonated loudly throughout all her wise words and teachings was that we are all linked together by our common humanity, as one family together here on this planet, despite all the false and destructive classifications that society often uses to divide us. A few powerful and profound insights of hers stand out to me to share in the context of civil rights. When I asked her what she saw as the root of all the problems we face in the world, she shared this insight: "Ignorance, of course, but mostly polarization. You see, it's a long time arranging this sort of condition. And it will not be over in one term, or even two. But we are on the right road." She added, "If you have a person enslaved, the first thing you must do is to convince yourself that the person is subhuman and won't mind the enslavement. The second thing you must do is convince your allies that the person is subhuman, so that you have some support. But the third and the unkindest cut of all is to convince that person that he or she is not quite a first-class citizen. When the complete job has been done, the initiator can go back years later and ask, 'Why don't you people like yourselves more?' You see? It's been true for women, it's been true for immigrants, it's been true for Asians, it's been true for Spanish-speaking people. So now we have to undo. And it will be no small matter, but we can undo it. We can learn to see each other and see ourselves in each other and recognize that human beings are more alike than we are unalike." During another one of our interviews, I expressed to her my optimistic sense that was a growing movement towards awareness and compassion, and I asked her if she thought that humanity was experiencing an evolutionary shift to a new paradigm. She reflected, "I think so. I think we are making it very clear to people, whether they want to hear it or not, or whether they would like to think of this as some fluke of history -- wrong, wrong. People are saying, 'This is what I will stand for. And I will not stand for any less than this.' It's amazing. We are growing up! We are growing up out of the idiocies -- racism and sexism and ageism and all those ignorances." I know we are all saddened by Dr. Angelou's passing, but heartened in the knowledge that her spirit will live on through her wise words and beautiful writings that will inspire us always. 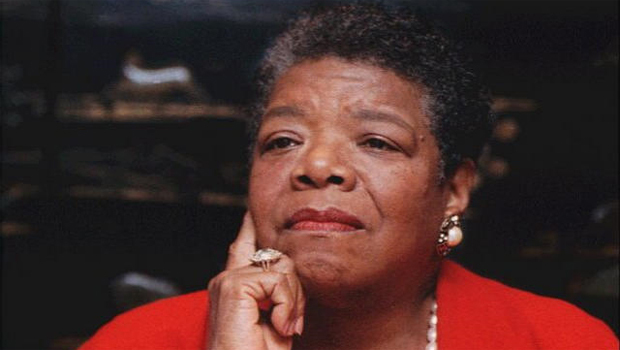 The most fitting tribute we can offer to Maya Angelou's legacy is to deeply reflect upon and incorporate the important, timeless values she was a messenger for -- love, peace, empowerment and tolerance -- into how we live our lives and conduct ourselves in the world. I asked Dr. Angelou what her wish was for the children of the future. She answered, "I wish that we could look into each other's faces, into each other's eyes, and see our own selves. I hope that the children have not been so scarred by their upbringing that they only think fear when they see someone else who looks separate from them." More "Voices of Today's Civil Rights Movement"